TapeSwell decorative packing tape always seems to get confused for duct tape. Duct or duck tape is commonly used in situations that require a thick fiber backed adhesive tape. 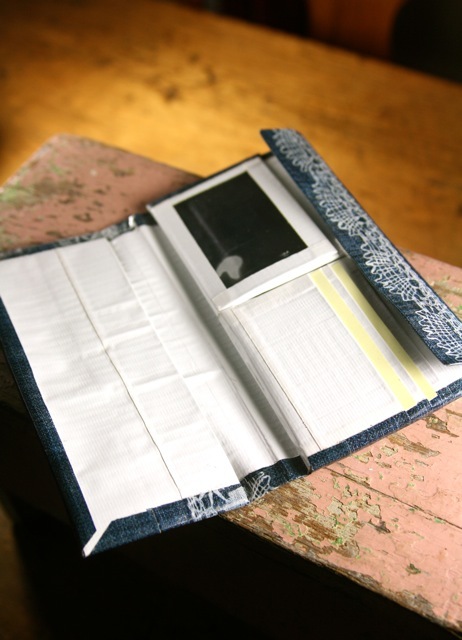 It was invented in 1942 by Johnson and Johnson and was the first of its kind to have a cotton "duck" cloth backing. The fabric backing makes it perfect for projects that require heft, like prom dresses and wallets. It has re-purposed itself into a whole crafting movement. Our tape by contrast is thinner, more flexible and less expensive per foot. It is packing tape (technically polypropylene tape) which has also been re-purposed. Being a pacifist at heart I got to thinking why can't we get along and instead of either or why not both? 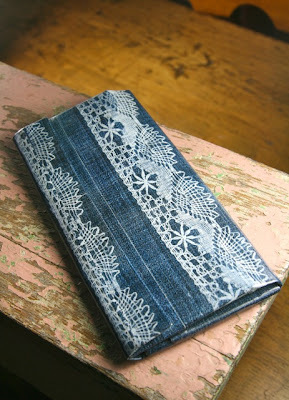 I ordered this denim duct tape clutch from Etsy and accented it with TapeSwell vintage white lace transparent tape. I'd say we've reached a truce.